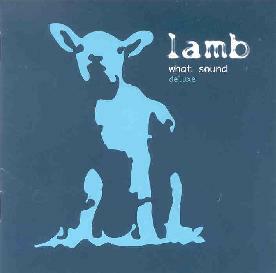 Lamb - "What Sound (Deluxe)"
Lamb are an ambient/sample styled duo experience from the UK. This is the deluxe version of the album What Sound, with a bonus DVD that has 2 videos and 4 stereo remixes of tracks on the original album. They will be known to some of you, some circles will dig the vibe, it is spacey, poppy to an extent and a million miles from the spacerock genre. I had not previously heard of them. A friend of mine pointed out the fact that they are well known and respected in their field and commercially successful up to a certain point. The line up is Andy Barlow and Louise Rhodes and together they create electronic/dance/ambient/whatever they term it? What Sound is a 15-track album and it strays through many different styles. I could mention Massive Attack’s later stuff vaguely, Portisheadish slightly on certain tracks, or the work of Bjork in ways. It is set in the places of mellow/chill out music, the tracks vary, instrumental/song all the way through. The songs are graced with the beautiful voice of Louise Rhodes who sounds a little like Melanie, the folky. The songs are presented very well and there are no questions to be asked about sound quality, the production is very good. The only question is whether I like it or not. My conclusion is yes in places and no in others. The track I like best is "One". This is where I get Massive Attack from. I really like the beat and structure. The whole thing oozes appeal to me, the vocals are stunning, I like her voice a lot on this track. The music is very driving but not dancey, more chill out stuff, it builds and fills your head, the bass thumps, the atmospheres swell, it is my favourite track. All the other tracks do not quite have the same drive, or indeed feel. Some tracks are based in dance music and sampled realms, the whole project is gauged for that crowd I think. It is not my scene at all. I understand it but can’t get away with it. "One" is the best vibe I hear. It is the most uplifting track, and the rest don’t really stretch that much. I did enjoy the album. It was a change, it was poppy in places, commercial and mainstream in a way. "Sweet" could be a single, it may be a single I don’t know. If you like ambient/dancey things then indulge. For more information you can visit the Lamb web site at: http://www.lambstar.net. What Sound Deluxe is distributed by Koch Entertainment. You can visi their web site at: http://www.kochentertainment.com.